Ned Hayes wrote a novel so far outside his comfort zone that he wondered if anyone would enjoy it. Kindle Scout readers answered with a resounding "yes." New characters often visit novelist Ned Hayes uninvited, so it wasn't all that strange a few years back when the voice of a fictional teenage boy kept percolating in the back of his mind. 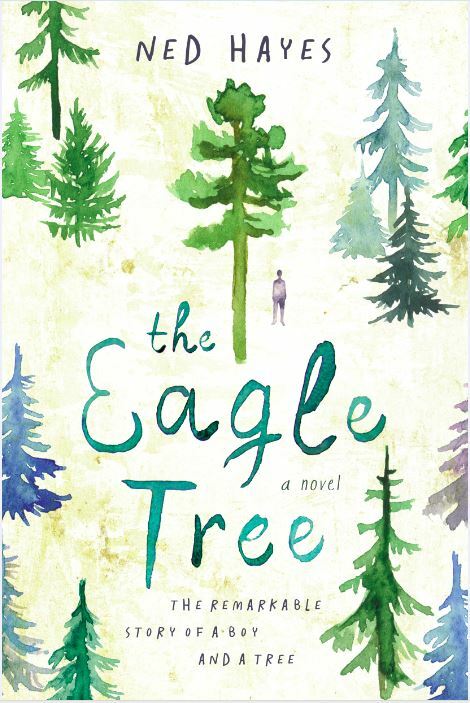 Then things got more intense: "A friend of mine took me to this amazing old-growth tree, and the first lines of the story, where the boy saw the Eagle Tree and wanted to climb it, just rose up in me. I had to write the story down. I felt kind of carried away by a rushing stream, and I didn't know where it was really taking me." I felt like I'd given someone a voice who didn't have one. The rushing stream carried Ned to The Eagle Tree, a novel unlike anything he'd ever written. He was a published author of historical fiction, and – even though writing novels wasn't his full-time job, and his books had never reached massive numbers of readers – his work had earned him representation by an established literary agent. 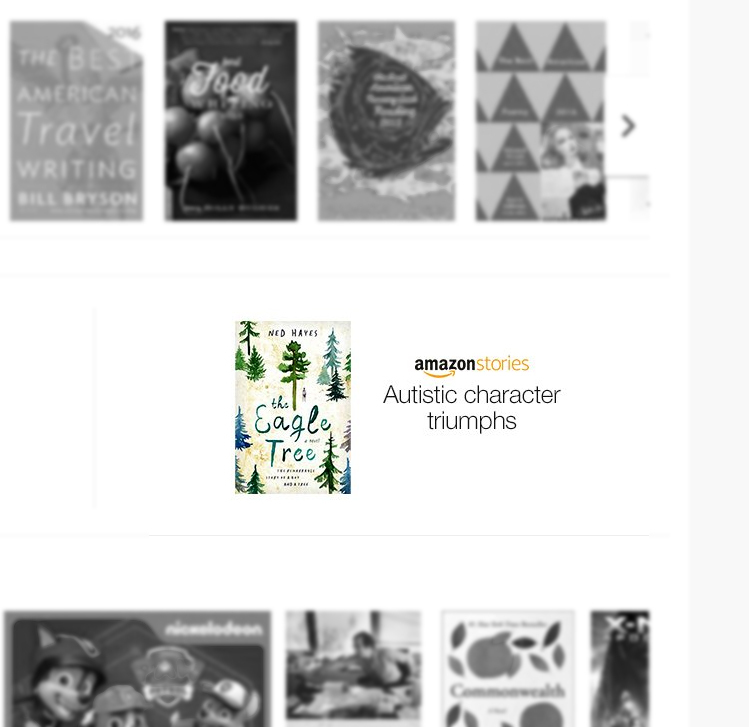 But far from being the historical fiction the agent expected, The Eagle Tree was set in modern times, and that percolating voice in Ned's head turned out to belong to a teenage boy diagnosed with autism. In the novel, young March Wong climbs dangerously high into Washington's forests to chase his passion for learning all about trees. "When I first gave the manuscript to my agent, she read it through and said, 'Well, this is a really different kind of book, and I'm not sure I can sell this. '," Ned says. Ned didn't push. He had his own doubts. "I was concerned that maybe it was a book that I had written just for my own pleasure and that I would be the only reader that really enjoyed it." Ned knew a way to test whether the novel would ever speak to anyone but him. 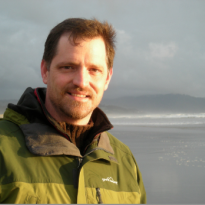 As a reader, he'd been participating in Kindle Scout, where authors can submit their never-before-published books. Readers see excerpts from each book, and they can nominate their favorites to receive a publishing contract from Amazon. Ned submitted The Eagle Tree and waited to see if anyone would nominate it. He was about to be carried away by another rushing stream. "One of the earliest comments I received," Ned starts to say, surprising himself by choking up, "was from somebody who had a family member who was on the autism spectrum. They said that this book gave them insight into their family member in a way that they never expected, and it changed their entire relationship. And I just felt really moved by that. Because I felt like I'd given someone a voice who didn't have one." The response from Scout users was overwhelming. The Kindle Scout team also saw serious potential in Ned’s work and shared his manuscript with Carmen Johnson, an editor at Amazon Publishing’s Little A imprint. Carmen loved it. She worked with Ned to release Kindle, paperback, and audiobook versions of The Eagle Tree. Thinking back to the exciting weeks when everything came together, Ned says, "Amazon really ended up opening a huge number of doors for me." More than 75,000 readers later, the character of March Wong continues to connect with people. Steve Silberman, whose NeuroTribes appeared on many of the most prestigious lists of the best books of 2015, praised Ned's "gorgeously written" book for featuring "one of the most accurate, finely drawn and memorable autistic protagonists I've come across in literature." The success of The Eagle Tree has opened new doors for Ned. He’s collaborating with fellow artists on a graphic novel and an independent film based on the book. He’s also using the bulk of his book royalties to launch OLY ARTS, an arts and culture magazine with print, online, and mobile app editions. He says he wants to "spread the word about the wonderful artists, actors, writers and musicians in the Olympia area who don't have the megaphone they need to earn a living wage for the amazing work they do." The first OLY ARTS issue's 10,000 copies were supposed to last 12 weeks. "It sold out in two-and-a-half weeks flat," Ned says beaming. "So there's a lot of interest and excitement, and it's fantastic to know that readers of The Eagle Tree made this all possible."